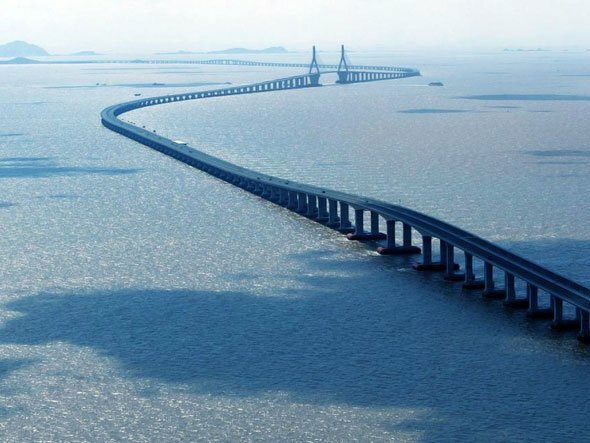 One of the masterpieces of modern architecture, the fantastic Hangzhou Bay Bridge has been opened to the public since May 2008. 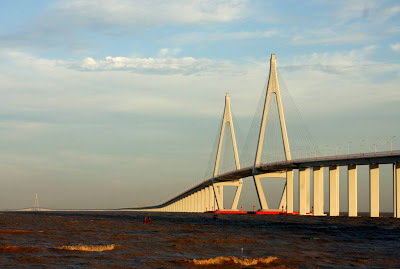 The Bridge is an S-shaped stayed-cable bridge with six lanes in both directions and is linking Ningbo's Cixi county in the south to Jiaxing in the north. 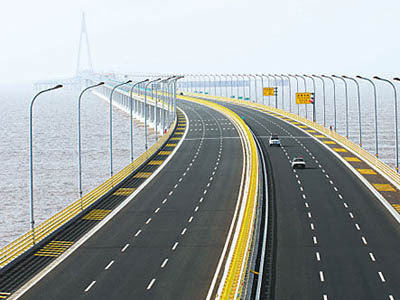 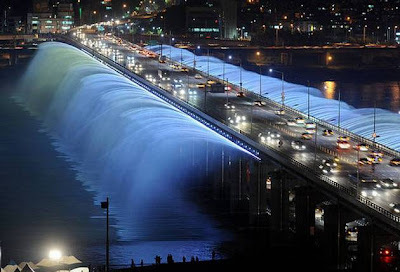 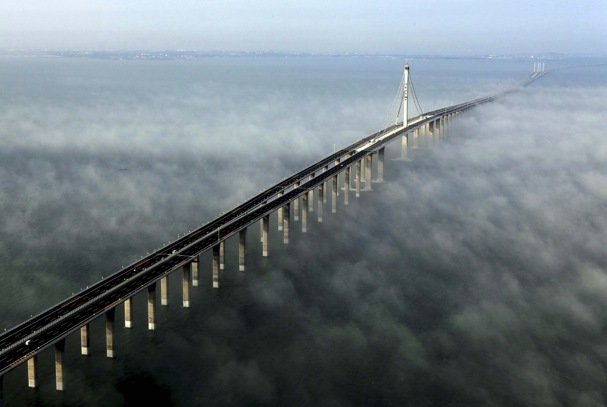 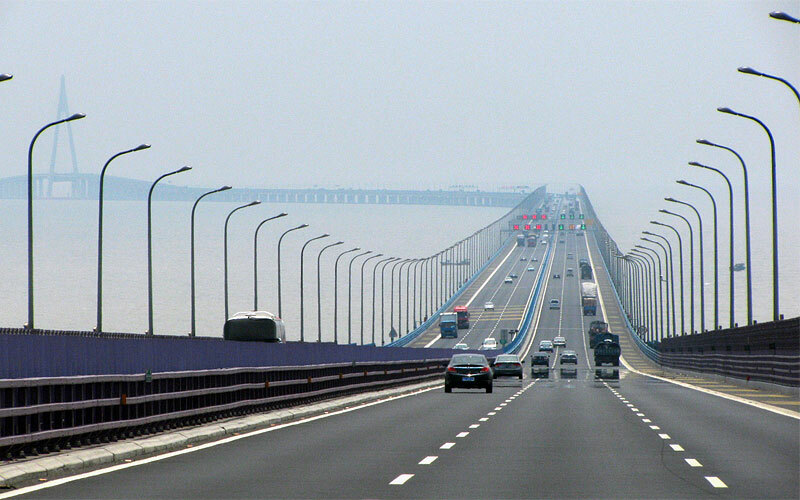 It is the longest sea-crossing bridge in the world - 36 kilometres (22 mi) long - and shortens the distance between Shanghai and Ningbo by 120 km. 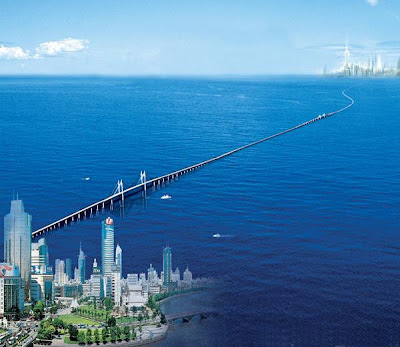 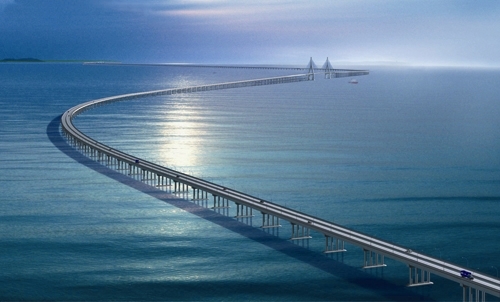 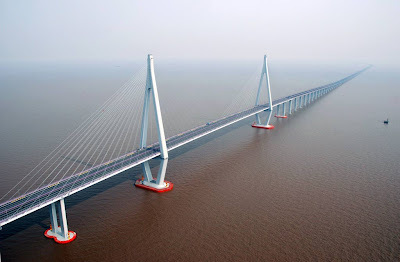 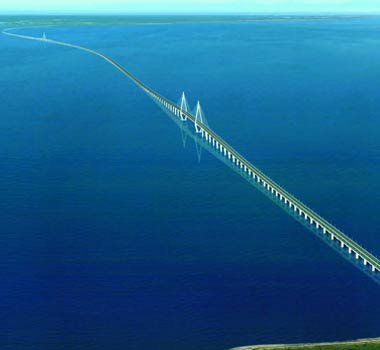 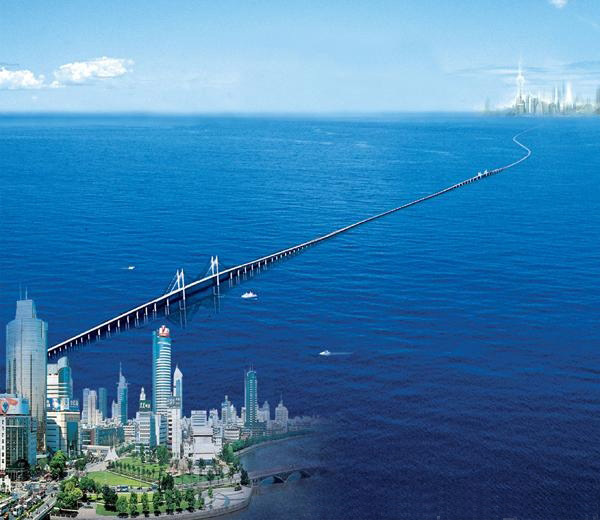 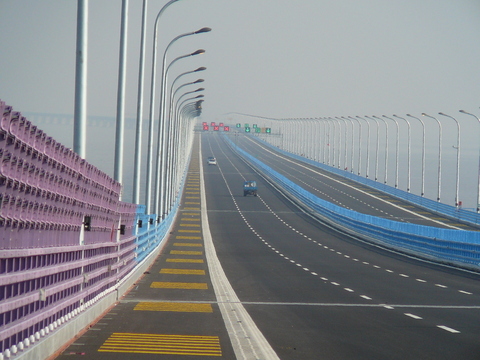 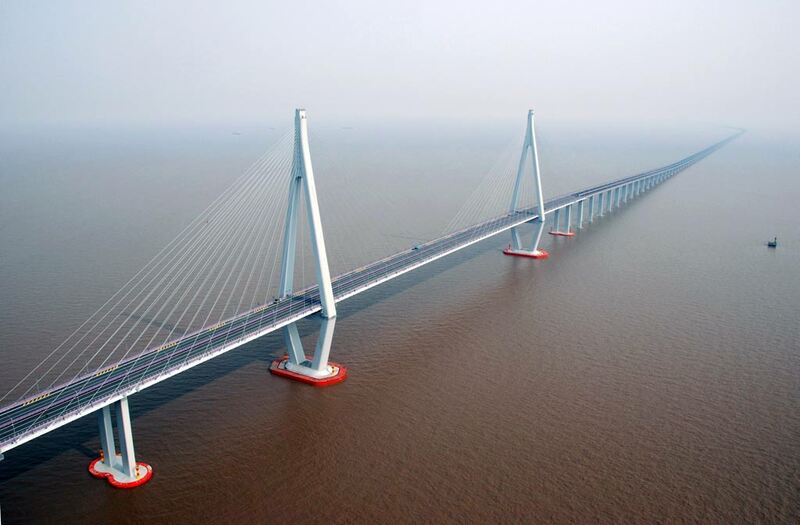 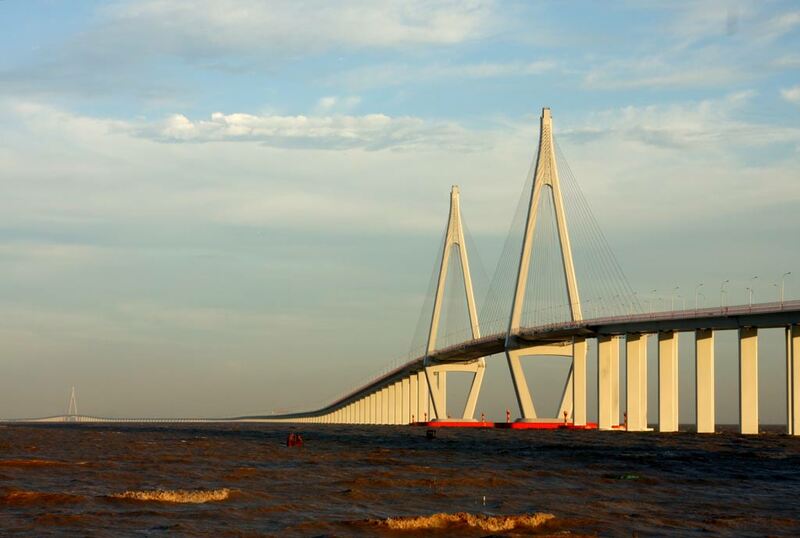 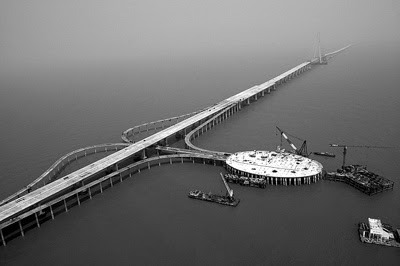 This fantastic bridge crossing the Hangzhou Bay is expected to have a 100-year lifespan, and has a price tag of 11.8 billion yuan (US$1.70 billion). 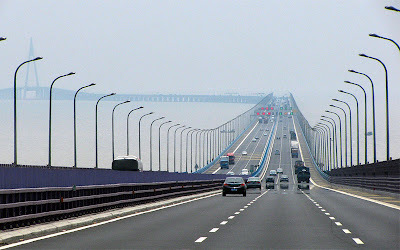 The speed limit is 100 km/62 mile.